Canadian cinephile, musician and comedic actor Michael Cera will lend his pipsqueak vocal pitch to a perfect new role. He's playing Robin in the forthcoming Lego Batman. The film is a follow-up to last year's wildly successful Lego Movie, the film will see Cera's Arrested Development co-star Will Arnett reprise his role as the gravelly voiced Batman, while Cera will chirp away as his sidekick. 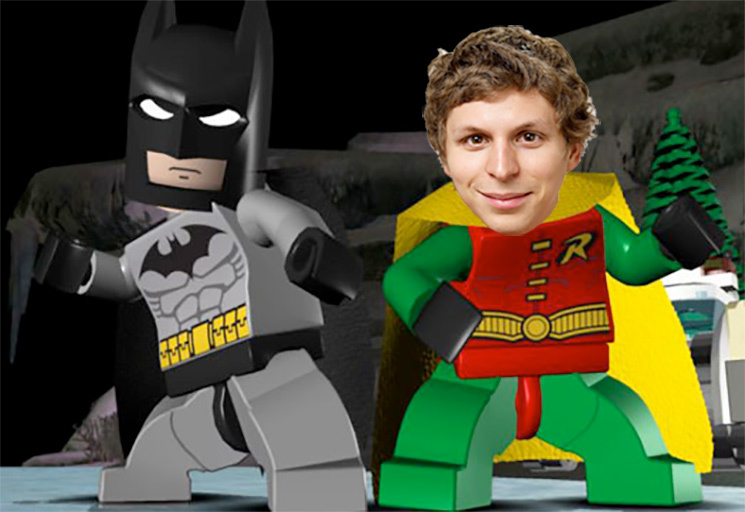 Lego Batman is being produced by Lego Movie directors Phil Lord and Christopher Miller alongside Roy Lee and Dan Lin. It will be directed by Chris McKay, who was the animation supervisor on Lego Movie.